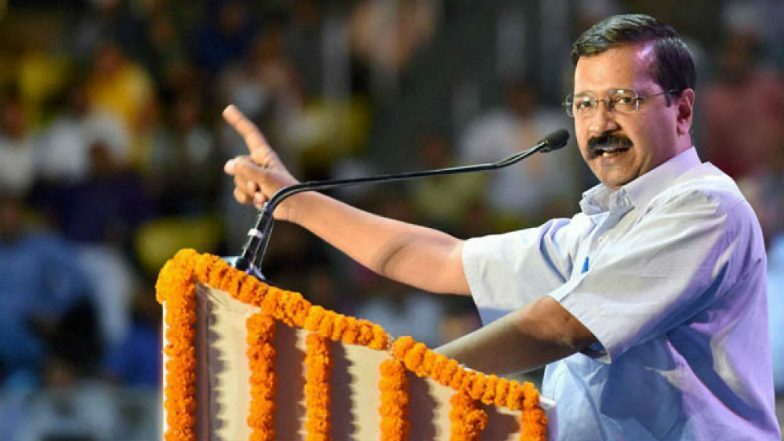 New Delhi, March 23: Delhi Chief Minister Arvind Kejriwal on Saturday targeted Prime Minister Narendra Modi and said that he is following the path of Nazi leader Adolf Hitler, after a video of a brutal physical assault surfaced showing 35 to 40 men mercilessly beating up four men in Haryana's Gurugram. In a tweet, Kejriwal said: "Hitler bhi satta ke liye yahi karta tha. Hitler ke gunde logo to pitte the, unka khoon karte the aur police jinhe mara, unhi ke khilaaf case karti thi (Hitler also used to do this for power. Hitler's goons used to beat up people, kill them, and police registered cases against those who were assaulted)." AAP Will Fight and Win Lok Sabha Elections 2019 on Its Own, Says Arvind Kejriwal. "Modiji bhi satta ke liye yahi karwa rahein hai, Hitler ke raaste chal rahe hai. Par Modi samrthako ko dikhai nahi deta hai ki hamara bharat kidhar ja raha hai. (Modiji is also doing this for power, he is walking on the path of Hitler. But Modi supporters are not able to see where our country is going)." In another tweet, Kejriwal asked in which Hindu religious book is it written to attack Muslims. Arvind Kejriwal Not to Contest 2019 Lok Sabha Polls From Varanasi, AAP to Fight General Elections in Uttar Pradesh. He said that these people are not Hindus but they are goons and their party is made up of hooligans. It is the duty of every Indian to save both the country and the Hindu religion, he said. Gurugram Police has arrested six men and registered a case against them for attempt to murder at the Bhondi police station. The police are trying to identify the other attackers. On Thursday (on the day of Holi) evening, the victims, who belong to the minority community, were playing cricket outside their residence in Bhup Singh Nagar. Police said that the attackers in a drunken state had first ordered them to stop playing cricket on the street which was followed by a heated exchange of words. Next, the assailants attacked the victims with batons, swords, iron rods, hockey sticks and water pipes.